Hummingbird Feeder Tips. Hummingbird Feeder Problems.Hummingbird FAQ. 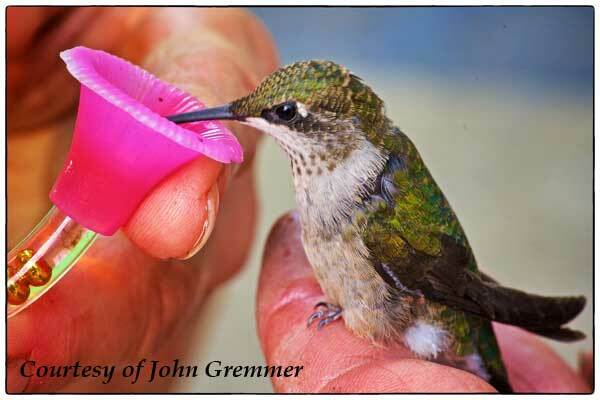 Here is a list of hummingbird feeder tips to solve various hummingbird feeder problems. Problem: I don’t know when to hang my feeders in the spring. Tip: As soon as the weather in your area starts to get warmer. Problem: I hung a feeder but haven’t seen any hummingbirds. 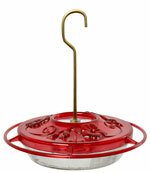 Tip: Tie a red ribbon on the feeder to initially attract birds. Problem: I was told that the honey I used in my nectar recipe could harm my birds. Tip: Never use honey. Always use granulated sugar in your nectar recipe. Problem: Ants have invaded my hummingbird feeders. Tip: Use an ant moat. Problem: Squirrels are bothering my hummingbird feeders. Tip: Buy a “Hummer Helper” Helmet. Problem: The hummingbirds aren’t interested in the flowers that I planted. Tip: Hummingbirds prefer brightly colored flowers with a high nectar reserve. Problem: Bees and wasps have invaded my hummingbird feeder. 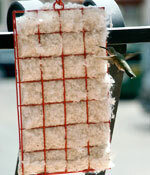 Tip: Buy a feeder with a bee guard. Problem: I took down my feeders too soon and a hungry hummingbird came to feed. Tip: Leave your feeders out for at least two weeks after seeing the last one. Tip: They can survive without your feeders. Problem: Other birds are feeding at my hummingbird feeders. Problem: I think that possibly bats are emptying my hummingbird feeder. Tip: Use a bee guard. Problem: My hummingbird feeder is leaking. Tip: Use a tray feeder. Problem: The nectar spoils quickly in my feeders. Tip: Use "Hummer Helper" Helmet or place your feeders in the shade. Problem: My hummingbirds are always fighting. Problem: I don't don't where to hang my hummingbird feeders. 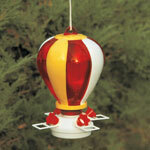 Tip: You can hang your hummingbird feeder in locations where they can be easily viewed. 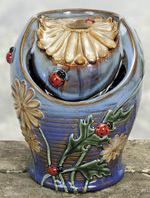 Tip: Buy a feeder that is long lasting, easy to clean and possibly decorative (if you are so inclined). Problem: How do I photograph my hummingbirds when they are so fast. Problem: I would like to find a hummingbird's nest but they are so small. Problem: How do I supply water for my hummingbirds? Problem: I have a trapped hummingbird in my house. Tip: Make the room dark. Problem: A hummingbird flew into my window. Problem: A hummingbird is sick or injured. Problem: It's cold out and my feeder is freezing. Tip: Take feeder in at night. Problem: There's a hummingbird nest on the ground.